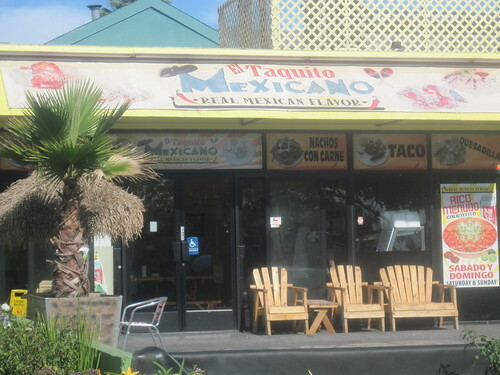 Pasadena’s famed taco truck El Taquito Mexicano has a brick and mortar restaurant that recently opened on Lake Ave where they moved from their former digs across the street from La Estrella on Fair Oaks. The new location has plenty of parking which is an upgrade from the Fair Oaks location. I’ve never thought the tacos from the brick and mortar El Taquito Mexicano had the same flavor to them as the truck . Tacos just taste much better coming off a truck. They go from the grill to your plate much faster and because the truck gets so busy there is a higher turnover which means fresher tacos. The food is assembled cafeteria style. You choose what kind of meat you want - asada, al pastor, chicharron, lengua, chorizo y papas, carnitas, cabeza, pollo to add to a burrito, quesadilla, sopes, or tacos. I ordered carne asada, al pastor, and chorizo & papas and my tacos were quickly assembled and topped with onions, cilantro and salsa roja. The chorizo y papas was disappointing. The chorizo had a mushy texture and the little beads of potato didn’t add much to flavor or texture. What’s up LA? Is Tacos Por Favor the only one that can do a chorizo taco? I’m starting to think so. The al pastor and carne asada tacos made up for the chorizo disappointment. The peppery flavor of the asada went well with a squirt of lemon and the spicy salsa roja and the al pastor which is about as inauthentic as it gets (think carnitas doctored up with achiote seasoning and other spices) still hits the spot. I love the El Taquito Mexicano truck. But I’m luke warm on the taqueria. If I’m in Pasadena during the day I’m much more likely to hop over to Walnut St and enjoy a few of Rick’s hard shell tacos or a breakfast burrito at the Lucky Boy stand on Arroyo. 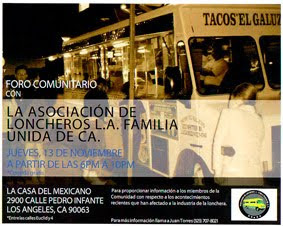 My daytime taco spot in Pasadena (and nighttime spot, really) is Tacos La Estrella (sound familiar?) in East Pas. Their salsa roja is a sensation and they're open 24/7. The taco truck has the best tacos!!! 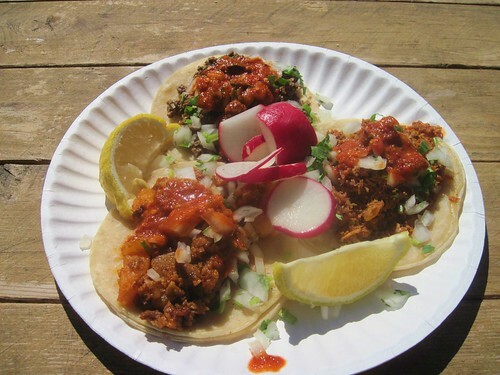 In all la county ive never had some tacos like the taquito truck ones i recommend them to any one that likes tacos.